If you are a homeowner, you probably already know what a nightmare it could be to find mold in your home. If you have already discovered mold in your home, you might be wondering where else the mold could be growing and which part of your home is most likely to be affected by mold. One thing to keep in mind about mold is that it will continue to grow until it is completely eradicated at the source. If you have found surface mold and you can see it, more than likely that is just a small portion of the mold that is growing. The major mold problem stems from under surfaces where it can’t be seen. Let’s talk about the seven most common places to find mold in a house. The most common sign of a mold problem is the odor. Before mold is seen, it can be smelled. 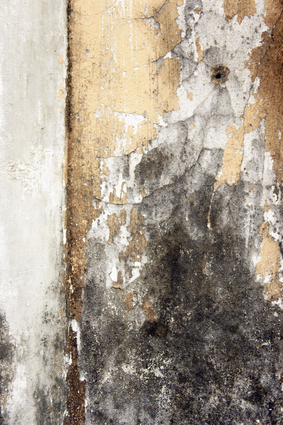 Mold always gives off a very powerful musty, mildewy smell that is hard to mistake. Once you find out where the smell is coming from, you can determine where the main mold problem is. However, finding the source of the problem does not mean that is the only place affected by mold. Mold could be growing in other areas of the house so it is important to get a mold remediation company to come inspect your home for any mold that may be growing. Bathrooms and Kitchens – Because of the many appliances and pipes in a kitchen, there is a good chance that mold will grow where leaks could happen. Underneath sinks where water pipes can leak or break is a common place for mold to grow. Appliances – Appliances that leak is a good source of mold. This includes kitchen appliances like refrigerators and dishwashers, and also washing machines in your laundry room. All of these types of appliances contain hoses that water moves through and these hoses can become worn, cracked, or broken and cause major water problems that will quickly turn into mold problems. Roof – Another place where leaks happen is the roof. Sometimes shingles on the roof get worn or become missing and foul weather can damage the structure. If you notice water stains or warping in your ceiling, there is most likely a water problem that will turn into a mold problem. If the leaking isn’t fixed immediately, mold will start to spread through the structure. Windows – Unsealed windows can really bring a mold problem into your home. Condensation in homes is one of the biggest causes of mold growth and window sills are a likely place to find it. Be sure to seal any cracks in the window sill and seal it off to make sure no moisture gets inside. Basement – If your basement is a warmer basement that can get very humid, it’s a good place for mold to grow. Older homes or homes that are prone to flooded areas find basement mold because of the mixture of temperature and water. Double check your basement and keep a close eye out for discolored carpet, stains on the walls and ceiling, and any buckling in the floor. Closets – Moisture has an easy place to hide inside of closets. People often use closets to store things and the walls behind and around closets often contain pipes that can leak and break. Without everyday access to the closets to see what is happening to the walls, mold can become a major concern. Crawl Spaces – Any type of moisture in a crawl space or attic will cause mold to grow….fast! I Have Mold. What Do I Do? If you have moved around your home and came across mold or what you think might be a mold problem, get help immediately! A professional mold remediation company, like Hitchcock Clean & Restore, can help any resident of Berks County that may be experiencing a mold problem.